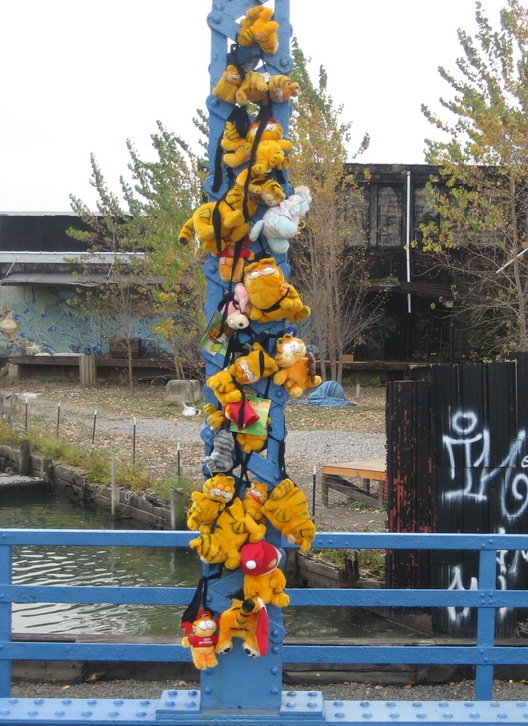 A couple of weeks ago, we posted some photos of the Garfields on the Carroll Street Bridge over the Gowanus Canal. Then, we heard from the person that placed the Garfields there, which is a tale worth reading in and of itself. The Garfields have been greatly diminished in number, presumably being taken by people that wanted a stuffed Garfield. 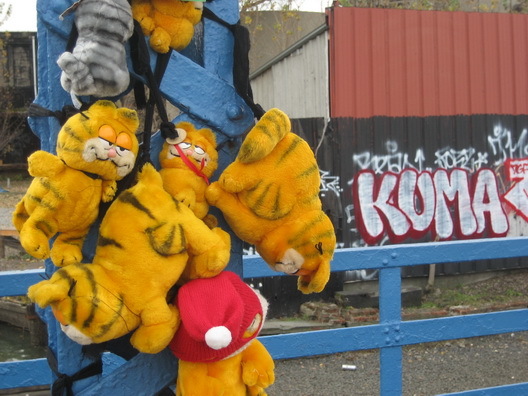 In any case, the photo below is one of several sent to us by the person that placed the Gowanus Garfields. There were originally, as one can see, a very large group of them.